Love this KENZO KIDSGirls Reversible Jungle Fantastic Bomber Jacket & Chambray Blue Animal Print Overalls for Fall Winter 2018-19. Super Cool Streetwear Look for Girls inspired by the Kenzo Adult Collection. She’ll look so adorable wearing this bomber jacket for girls by Kenzo Kids. A versatile design, with two stylish sides to chose from. The jungle printed side is wonderfully colorful, while the navy blue side is detailed with large logo print. It is made in a lightweight polyester with ribbed trims and is softly padded to keep girls cozy and warm. Looks perfect with a pair of Kenzo Girls Chambray Blue Animal Print Overalls. 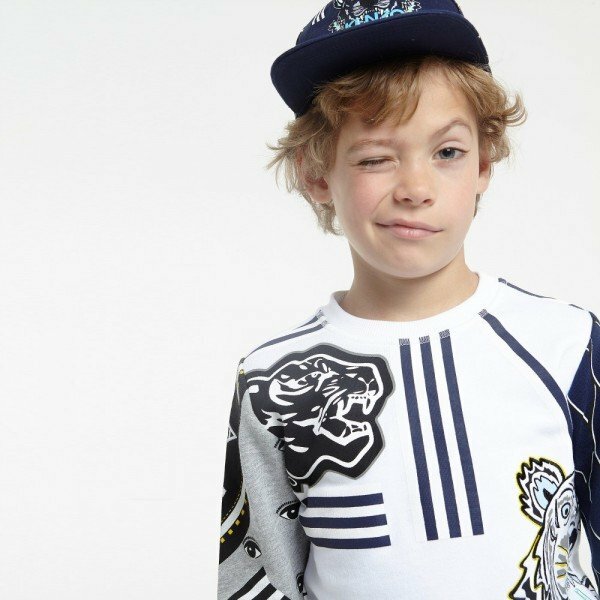 Complete the look with matching Kenzo Kids tiger hat & gloves. Unfortunately, this KENZO KIDS Girls Reversible Jungle Fantastic Bomber Jacket & Chambray Blue Animal Print Overalls is not currently available. 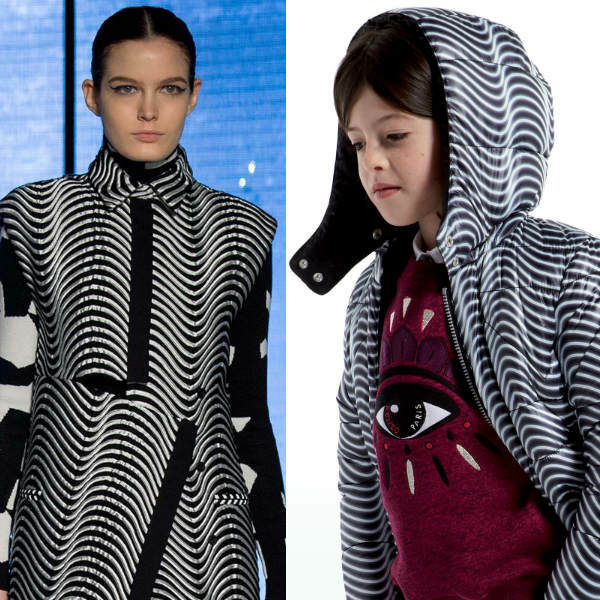 You can shop for similar KENZO KIDS girls clothes from the current collection online.